From http://www.cemc.uwaterloo.ca/resources/potw.php, used with permission. Assignment: Write a program that determines the probability. 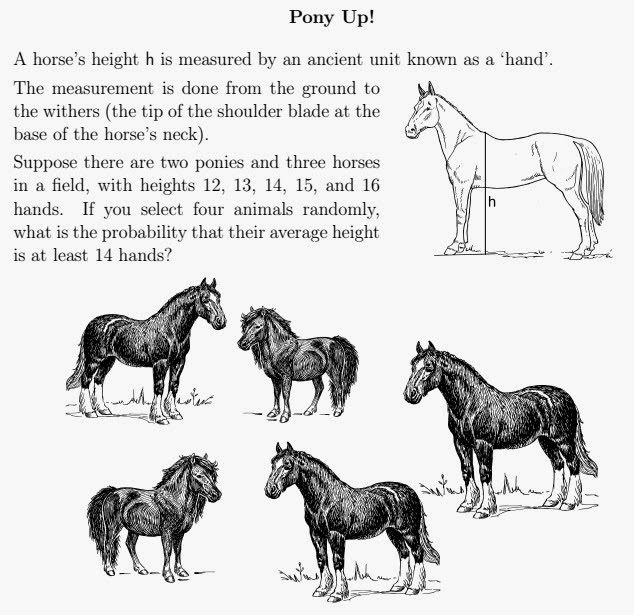 Save as poniesUp.py. Submit to the Python Challenges handin folder.